Contact Comfort Home Health in Kokomo, Indiana, today to ask about receiving our home health services. Evaluations and admissions are conducted by our professional staff of registered nurses under the guidance of your physician. 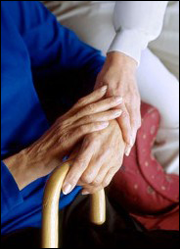 We will work with you to determine your eligibility and come up with the plan of care that best meets your needs. Please call our office to discuss your care needs. Let us provide you with the best possible service. We are happy to speak with you regarding any of our services, so please leave your phone number below. Contact us at (888) 244-6550 to speak with a home health services care provider, and discover how you can start the admissions process.